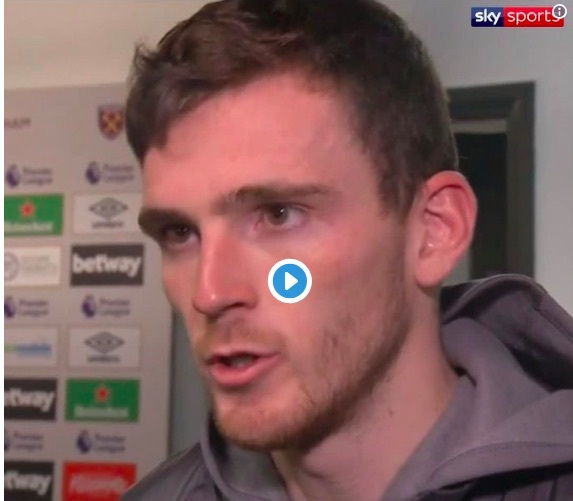 Andy Robertson has vowed that Liverpool will bounce back from consecutive draws with Leicester and West Ham and will help us secure a win next time out. It’s Bournemouth next weekend, but in all likelihood, we’ll be in second place by the time we kick off, with Manchester City playing midweek, only three points behind and with a better goal difference. The Scottish left-back has refuted claims the team is getting anxious, claiming that the same wasn’t said about City when they lost to Crystal Palace and Leicester. He’s right to point out the hypocrisy, actually – although in fairness – the performances in 2019 and the nervousness of the crowd v Leicester definitely looked like a club who were at least feeling the pressure. But it’s too early. There’s still 13 games of the season left. On Saturday, we need a party atmosphere. Let’s enjoy being in contention at this stage of the season!